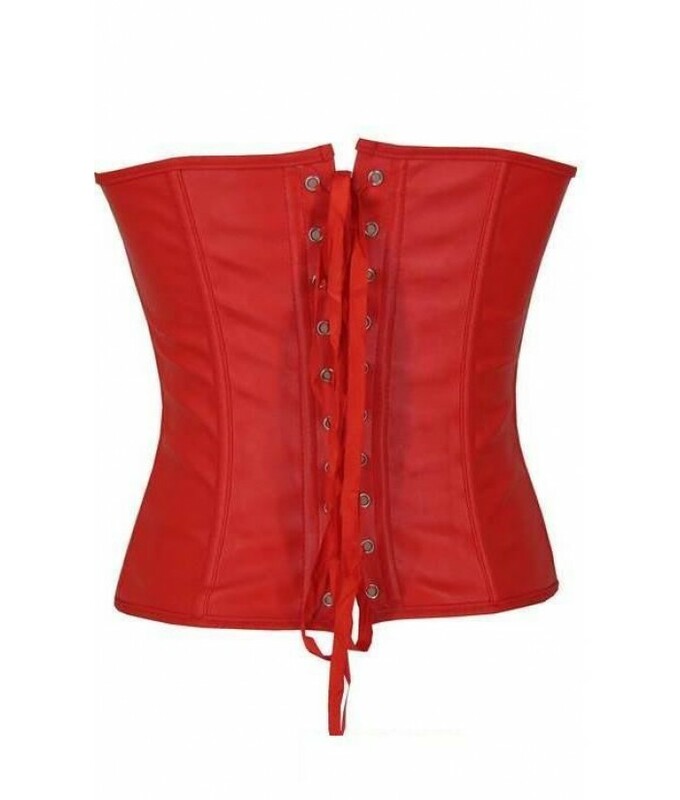 "Completely fabulous" are the words that spring to mind when trying to describe this red leather corset. Made from perfectly safe and sustainable red faux leather or pleather as some refer to it, it has this gorgeous silver chain feature that runs criss-cross over the front panel giving a contrast to the zipper that fastens the corset at the front. With a beautiful look and feel some of the girls in the office did use the word "biker-chic" when they saw how unique this looked on. Great for anyone who wants to stand out from the crowd and as you have come to expect from Discreet Tiger it's selling at half the recommended retail price. - Red medieval Edwardian corset top. - Silver zipper front and criss-cross chain detail. - Long lace up (ribbon) back for sizing options. 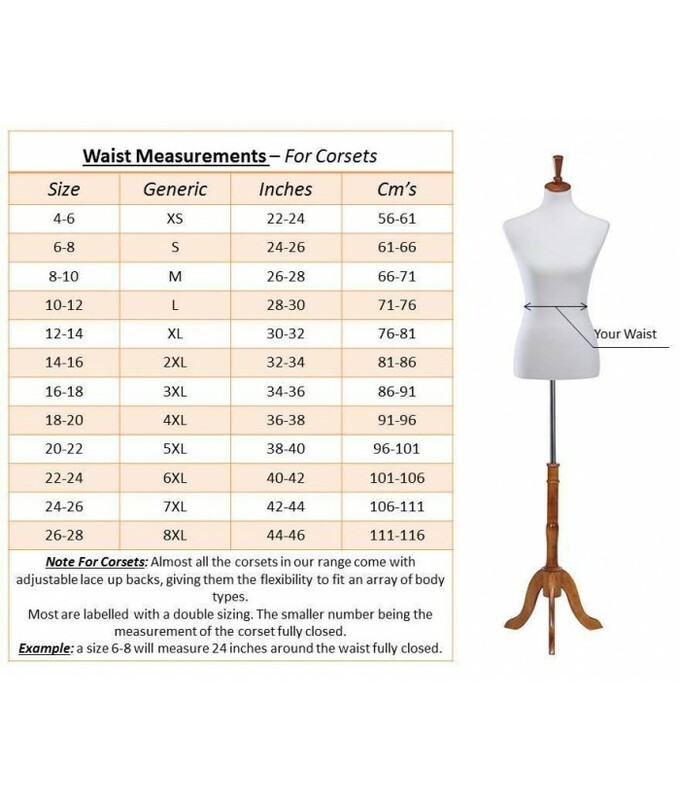 - Flexible firm rods all around the corset.